The live counter or as AB's - Absolute Barbecues like to call it the 'Wish Grill' is their USP and it is also where they offer exotic meats such as duck, quail, rabbit, emu, octopus, squid. Plus, there are a lot of options for vegetarians as well in their live counter. This spot offers five to six varieties of starters in veg and non-veg options. Also, this place offers one complimentary soft drink, popular ones among which are cola, fresh lime soda, orange juice, and their mocktails. Who doesn't like desserts? 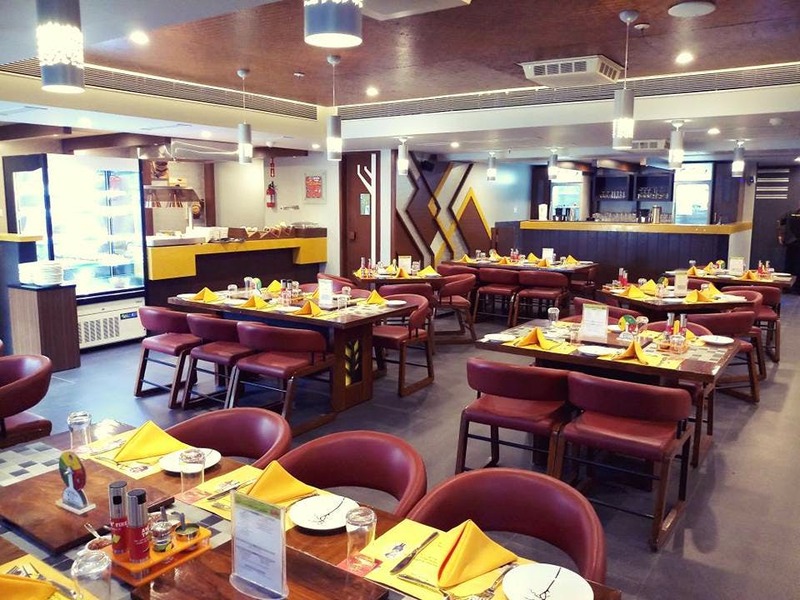 And the chefs at AB's know this fact for which they serve lip-smacking delicacies like mango cheesecake, angoori gulab jamun, saffron phirni, truffle pudding and the mouth-watering frozen Ice cream. Dinner for two adults and a kid would approximately cost INR 1000. Now if that isn't a great deal, I don't know what is. It's tough to find a table on the same day of your booking due to the high demand. So book well in advance if you plan to visit this outlet. Also, you must try their special Ab's Chococrunch. They have opened doors in Pune only a few days back and have created quite a buzz for being totally value for money and also for having an extremely courteous and well-trained staff.